Who does not like to won prizes, especially if the prize is in the shape of money? It is in the nature of human being that they like to win free things or things which required very few effort to earn. Winning lottery is one of that thing which can makes you happy. But how does it all work specially when you are living a country like Malaysia, which has very limited gambling activities, casino and even online websites to play lottery? 4 digitals lottery and its subsidiaries like STC 4D, Sabah 88 4D is the solution. For people who don't know what is 4D lottery and how do you play it, here is a quick introduction. 4D is Singapore and Malaysia based lottery system which is now also being introduced in neighbor countries like Indonesia and Philippines. In 4D lottery you have to select lucky number between 0000 to 9999. You can choose as many as number you want but each number cost price. Once the maximum numbers has been sold within the time, the company announced winners which has been selected through draw. 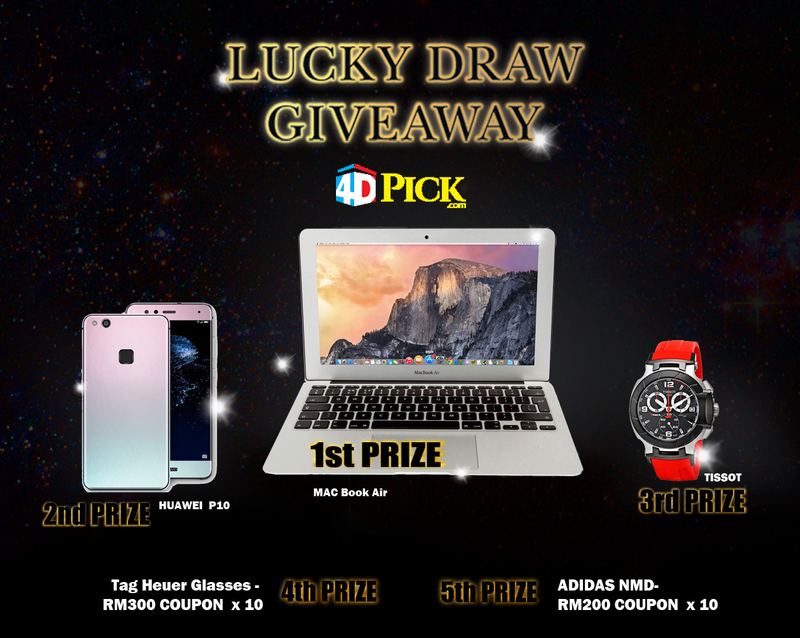 There are dozens of prizes you can win through 4D lottery but there are main 3 prizes which has big amount of money. Every one want to win a prize from first three prizes. With the help of technology, specially internet now it is possible to play 4D lottery online. You don't need to be in Malaysia or Singapore any more is you want to play 4 digits lottery. There are dozens of online casino from Malaysia who give opportunity to play 4D from around the world an wining cash. Lottery games for STC 4D and Sabah 88 4D has been played every day and more than 50 people winning numbers are drawn in every draw. Its mean there are more chances to win the prizes. The more you play, you will get more experience and expertise of predicting 4D lottery number. Not just that, 4D lottery is divided in many sub categories like 4D investment, STC 4D and Sabah 88 4D lottery number which increases your chances to win the games. People says that it is only luck which can help you to win a lottery ticket, while the professional gambler says that you need to know how to pick a lottery number instead of relying on your luck. It is true that somehow the luck factor counts but you simply cannot leave everything on luck. Will you drive blindly on road or stop preparing for exam? No, because you know that luck is not the only factor which can cause or save you from the road accident or help you to pass exams. You have to do your efforts too. Just like that to win STC 4D and Sabah 88 4D lottery ticket you need to predict lottery number and you can do this by selecting a number from the part winning because studies shows that a number which already won the lottery has more chances to win next time and to do that you need to check the list of winning results http://4dpick.com/keputusan-4d-results/sabah-sarawak provides you the opportunity to Check STC 4D results, Sabah 88 4D Results Online for free. The popular Malaysian based lottery 4D does not required any introduction as long as you are living in Malaysia or Singapore because it is famous equal in these two countries but it does not mean that people from other countries does not play 4D lottery, they do with the help of internet. There are hundreds of online casino which make it possible for people who are not living in Malaysia to play 4D games online and receive their prizes through online bank. But this is not our topic today. Today, I will talk about the lotteries like Sabah 88, STC 4D and Sandakan 4D lottery games which are known the subcategories of 4D lottery because they are somehow related to 4D including the business and prize model. You can win up to 23 prizes in Sabah 88, STC 4D and Sandakan 4D. The prizes are divided in top 3 exclusive prizes and then 20 rest of small winner, the same like its happened in 4D lottery. So, if you are aware with 4D lottery game and want to play more to increase your chances of winning by participating in more similar types of lottery games then you must try Sabah and Sarawak lottery games today. Sabah and Sarawak lottery games are becoming more famous in Malaysia because they held draw daily which means you don't need to wait for 4D STC results for week or month to know the results. Within 24 hours, the winners has been announce and the 4D results STC available to view which has been used latter to predict the lottery numbers for Sabah 88, STC 4D and Sandakan 4D. The other reason behind the popularity of Sabah 88, Sandakan 4D and STC 4D are that, they are available to purchase and play online where many people still not aware about these lottery games, which automatically makes it famous because there are more chances to win, more chances to predict and winning number and more chances to purchase a predicted number online because there are not much players available. But i can tell you that, with the passage of time and the increase in number of players day by day, these lottery games will be more popular in Malaysia in next coming month and people will prefer to play Sabah 88 and Sandakan 4D along with official 4D lottery games to increase their winning chances. Playing Sabah and Sarawak is more connivance to play online as compare to offline because online you are alone and you can focus on a better lottery number by using different techniques and planning strategies including the use of 4D STC results. Other than this, the online casino club provides you many advantages like online customer support, flexible way to deposit and withdrawing your winning amount, purchasing 4D lottery number of your choice and instantly informed you about 4D STC results including sending you notification on your email ID.